Super Mom - No Cape Featured on The Name Game - Super Mom - No Cape! 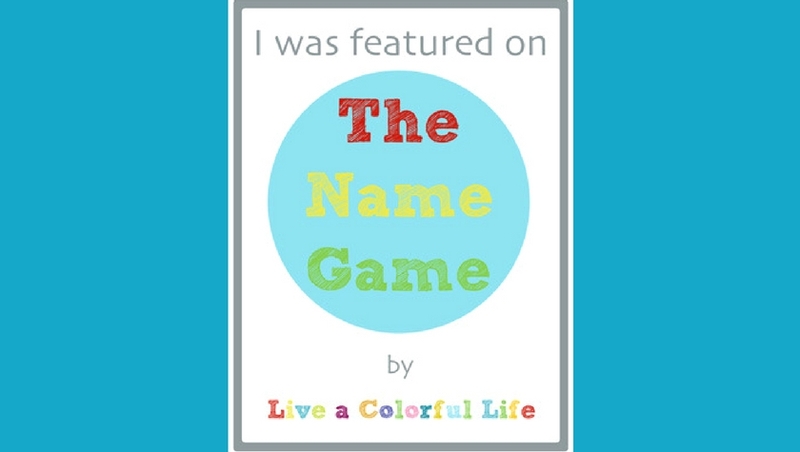 When Cindy from Live a Colourful Life decided to revive The Name Game series on her blog, she put the call out for nominations for interesting blog or instagram names. I wrote to her suggesting Super Mom – No Cape! I was more than a little flattered when she wrote back saying she was glad I’d contacted her because I was on her list of people to get in touch with. Now how fun is that! I’d like to encourage my regular readers to pop over to Live a Colourful Life to read the three questions she asked me to answer. And while you’re there, take a moment to look around. As well, if you’re on instagram you’ll find her @liveacolourfullife. If you’ve arrived here from The Name Game and you’re visiting Super Mom – No Cape for the first time, I invite you to take a few minutes to have a look around and browse through the archives. A good place to start would be to click on the tabs up there under my blog banner. There are tons of great posts to choose from! And I have a special surprise for anyone who subscribes this week. For the last three days, I’ve busy been working away to finish my latest pattern. Allow me to introduce you to Archimedes! Finishing at just 2 ½” tall, isn’t he just the cutest little pincushion you ever did see! The pattern is done in the same tutorial style as those you’ll find here on my blog with lots of step-by-step photos and detailed instructions. I will send a free pdf of the Archimedes Pincushion pattern to anyone who subscribes this week. This promotion is now closed! Now I certainly wouldn’t want any of my current subscribers to miss out, so for this week only, if you too would like the pattern for Archimedes just let me know in the comments and I’ll get the pattern for Archimedes to you as well. I see that you are very fine and I do like reading your entries. 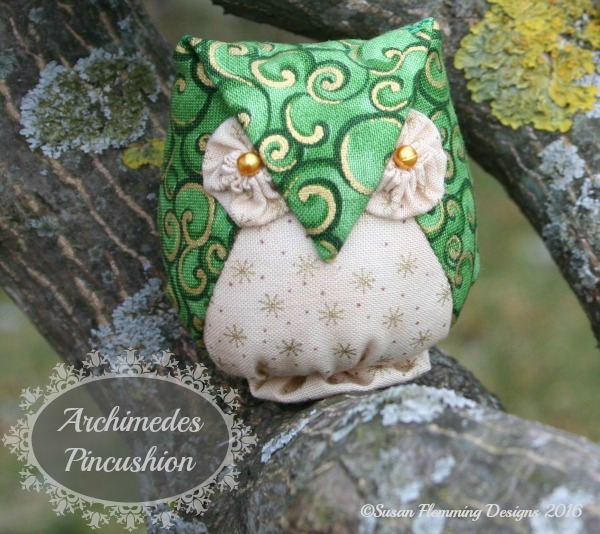 Please send me the pattern of this cute Archimedes. I#LL have a try to sew it. Congratulations, now going to look at Live a Colorful Life! Congratulations, Sue. I love Cindy’s Name Game posts. Your little pincushion is darling. Congratulations on the feature. Archimedes is adorable. I will check out Live a Colorful Life. Yes pretty please I would love that cute little owl pincushion pattern. I already subscribe to your newsletter. Thanks Susan. I am already a follower and was just about to subscribe again for the pattern, and then I read on…. I would absolutely love to receive your adorable pattern for your little owl pincushion. Now I’m off to visit Live a Colourful Life. Thank you Susan, have a super week. I would love to have a copy of your darling pattern. He’s sooo cute! I’d love the pattern, pretty please! I am a follower already…I love the little Owl pincushion and would love the pattern. Thanks so much for your generosity.. I love the little owl, please send the directions to me too! I fell in love with your site back when you published the Prairie Point ornament. Keep up the great work. Would love to have a copy of the pattern for Archimedes. I would love the pattern for this little guy! Thank you in advance for sending it to me. Love your beautiful designs. Wish I had the time to make them all. Ooooh, that definitely is exciting news! Thanks for offering the .pdf of Archimedes. I’d love to have it, when you get around to it. No hurry. I won’t be making him this afternoon! I do love that green fabric you used for him. Congratulations on being a featured blogger on Live a Colourful Life. I’ve just popped over there to read all about you! 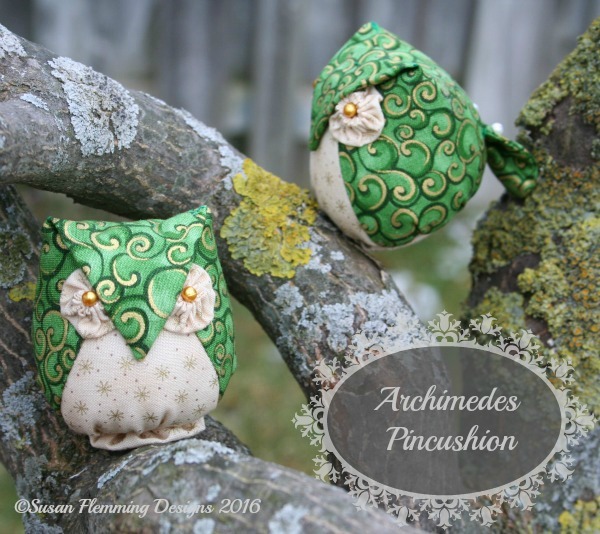 I also would love the pattern to that little cutie pincushion Archimedes. 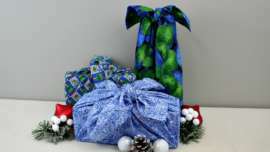 I could see myself making several, he would make a wonderful little gift for quilting friends! Congratulations on being a featured blogger. I have always liked the name of your blog. I would love the chance to make one of those cute pincushions. Thanks for the pattern. Your owls are darling! Thanks for sharing a link to the Name Game. 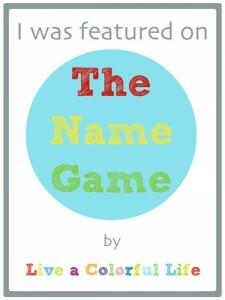 It was fun to read a bit more about your blog and the origination of the name. Would love the owl pattern. Hmmm, I guess I was already subscribed but I don’t think that I have been getting your emails! I love Archimedes and would you believe that was my first cat’s name after I got married? 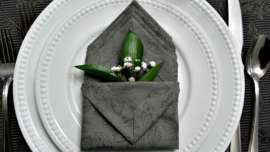 I would love a copy of your pattern! Congratulations, will have a look at Cindy’s web page. I would love the pattern for Archimedes please. Thank you, Guida. Oh pretty please send me the owl pattern. I have the perfect fabric and recipient in mind. Thanks, Sue, you are a generous person with much Aloha and I always enjoy your blog. Congratulations, I’ll take a look at the Name Game. Please send me the Archimedes pattern, It’s adorable. 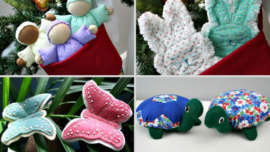 My kids (and I) can’t wait for the next installment of the hexie turtles. I know they’re a lot of work, so I just want you to know how much we love them! I would love the pattern for Archimedes. I love owls and one can never have too many pincushions. I, too, would like the cute pincushion pattern. You do beautiful work. I read your posts often. Sue, I’d love to have your pattern. Thank you. I would love a copy of your owl pin cushion! He is so adorable! Thank you! Hi I would love this Owl tutorial too. I would love the pattern of this cute owl pincushion! Thank you! Awww – such a cute wee owl!! Much too sweet for sticking full of pins….at least IMHO. Yes I would love a pattern as I collect and love owls. Thanks so much! Yes please, would love the pattern. I also want to comment on your photo of your quilting ruler measuring the depth of snow-LOVE it. May I share it with my quilting friends in MN? Please send me the free Archimedes pattern. It’s very cute. Hi Sue, Archimedes is So adorable. I would love the pattern if you would still be willing to send it to me. Thanks so much. Where can I get a copy of your adorable Archimedes pattern? I am new to your site and LOVE, LOVE, LOVE your work! I would so love to get a pattern and instructions for Archimedes, he or she is so adorable. I would also like to become a subscriber. I have just joined and I would certainly love the little owl or turtle pincushin. I am 84 and trying to get my grand and great children to sew. I know they will need help with these but what a great gift to give their parents for next year. This is a wonderful site. Hello Mary… I’m sending you an email. I would love to have the pattern of the owl if possible. If not the frog and I want to show the kids the turtle adventures. I’m sure any child would love to watch the adventures. I am trying to teach the children how to sew and this may be a start. They may need help with them but they might get real interested in this project.